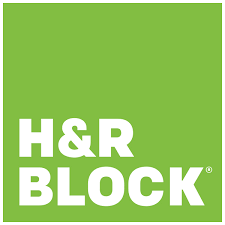 H&R Block is one of the world's largest tax services providers, utilizing more than 100,000 highly trained tax professionals and having prepared more than 550 million tax returns worldwide since 1955. Brothers Henry W. Bloch and Richard A. Bloch founded the company in 1955 and grew the business to become a brand and franchising icon. View Video: - H&R Block Tax Preparer Course Today, H&R Block: Prepares 1 in every 7 U.S. tax returns Has a retail office within 5 miles of most Americans Delivers customized tax advice for more than 400 occupations Has helped clients obtain more than $50 billion in tax refunds, credits and other government benefits in fiscal 2010 In addition to the company providing tax return preparation services in-person, through H&R Block At Home™ online and desktop software products, and through other channels, the company offers financial products to support its tax business through the H&R Block Bank. As the company has evolved and achieved significant milestones, H&R Block has remained committed to the factors that led to its success: superior customer service, a pledge to stand behind our work and a commitment to serving clients where they prefer to be reached — in a retail office, online, using software or a combination of methods. H&R Block is dedicated to being the most trusted, state-of-the-art tax preparation firm at the best value. H&R Block also is proud of the rich philanthropic tradition established by Henry and Richard Bloch. Their legacies live on in all of our philanthropic efforts. I've worked for H&R Block for 13 years, I was recruited through AARP's senior program. I loved it and never felt any age discrimination. As a matter of fact, because of my KPMG background, i was looked at aa very experienced asset to the company. I have my CPA which was a plus for HR Block. After working for two years at HR Block and bringing clients to HR Block, they want to reduce my hourly rate. In addition, the local HR Block office created a hostile work environment. If I had wanted to pursue legal action, it was likely that I could have won. I believe that I was punished by HR Block for sending an email to my district supervisor about the hostile work environment and they did nothing about the situation. For the tax knowledge that HR Block expects, they pay peanuts. I completed nine tax seasons as a Tax Professional with H&R Block. Tax Season 2018 will be number ten. 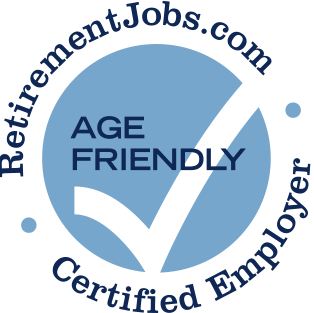 It is a very good place to work for a semi-retired person who likes working with clients and who is detailed orientated. Compensation is based on one's level of experience, certification, and production. I am 73 years old and an IRS Enrolled Agent. H&R Block allows a tax professional to work as little or as much as one desires during tax season. H&R Block's workplace environment and company values is outstanding when it comes to family values, and welcoming and supporting workers age 50+ and older. The Manager I had liked me. However, her talk was so unprofessional for a business office! There was complaint(s) made about her to upper level management, nothing done about it. Work hours here terrible. Manager put too many people on for this job I was doing. And therefore cut my hours to near nothing. Crazy hours too! Way too many classes to take for a person not doing taxes. Pro: Very friendly to people over age 50. Employs many retirees; compensation is based on experience and acquired skills; opportunity for increased compensation is available to all who are willing to put in the time to learn. Con: Bias in giving out work hours, workload.